Apple has submitted a revised proposal for its upcoming spaceship-like campus in Cupertino, adding details of bike paths and access, street enhancements and parking spaces to the mammoth construction project. Last November, Apple revised its timetable for the project, which the late Steve Jobs had a hand in designing, and it continues to cite a Summer 2016 move-in date in its latest submittal. The new plans, which are designated Submittal 6, are largely the same as the previous version, but they do contain a few minor updates. Renderings of the campus now include images of bordering streets to show enhancements that will made to the surrounding areas. 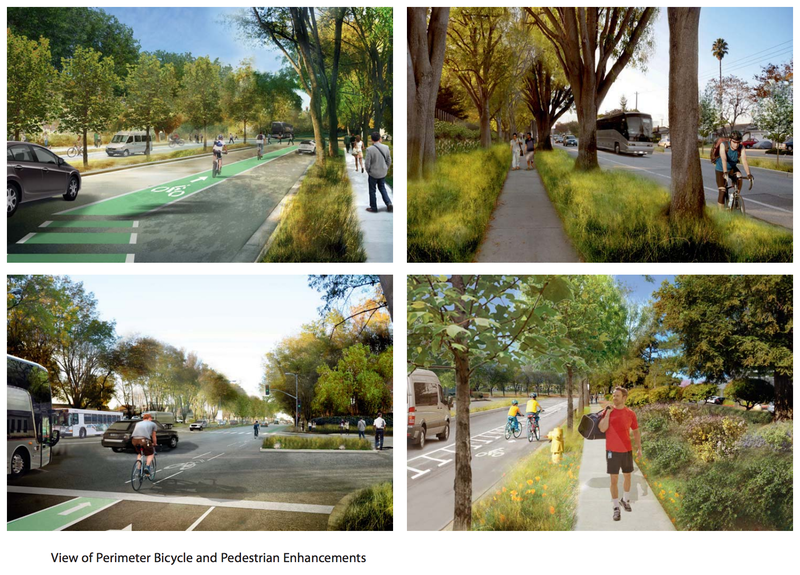 Project details include a proposal to build pedestrian scale lighting, enhanced paving and railing and a landscaped median to nearby streets. Apple has also added a description of bicycle access improvements at the campus, such as buffered bike lanes, bike boxes and two-stage turn boxes. Parking spaces at the site have also increased from 9,000 to 9,240 in the main area and from 1,500 to 1,740 at an adjacent location. A new valet parking area for events are the corporate auditorium adds 60 spots. 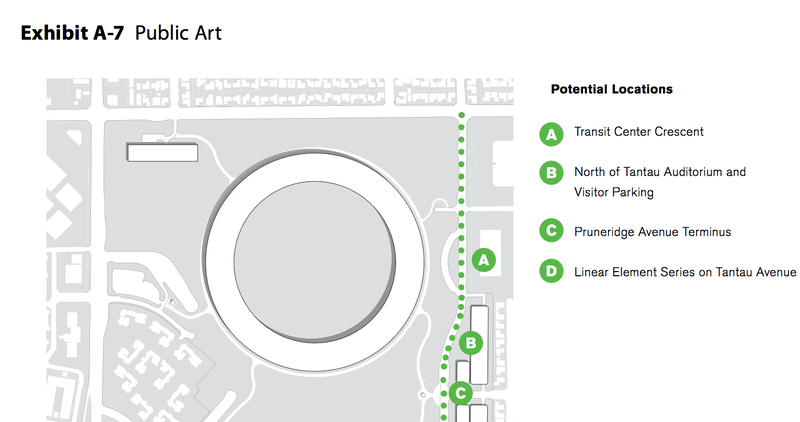 Apple has also included a exhibit showing where public art installations will be placed. When Jobs presented the original plans to the Cupertino City Council, he touted the designs as having a shot at becoming the “best building office in the world.” Apple hopes to break ground on the project as early as late 2013. In the meantime, we’ll continue to ogle over the renderings.